European highwaymen were often idolized as dashing villains who captured the hearts of the people. Although some acted with charm, many more were so brutal or devious that they made their way into the history books. Born in 1693, Cartouche was a French highwayman whose real name was Louis Dominique Garthausen. He eventually became known as Cartouche (“cartridge”). Starting his life of crime early, he was already a member of a local group of hooligans in his adolescence. By his twenties, he had become the leader of a bandit group known as Cours des Miracles, which was the name of the slum district from which they operated. Cartouche raided the Versailles-Paris trade route, forcefully distributing wealth from the rich to the poor like Robin Hood. Despite his rough upbringing and dark nature, he was known to be a gentleman among his peers. However, Cartouche soon found himself under the thumb of the law. He evaded capture until he was betrayed by one of his friends and caught unaware. Held in the Grand Chatelet prison, he tried to escape by tunneling into a neighboring basement while still wearing chains. But his chains made so much noise that the family’s dog began barking furiously and blew Cartouche’s cover. Despite his charismatic nature, Cartouche was eventually executed by being skinned alive and broken on the wheel. However, the punishment for his actions was not over. In a strange twist of justice, Cartouche’s younger brother, Louison, also suffered the punishment of hanging by the armpits. It was a weird sentence even for those times, but it was designed so that the punishment would not be fatal. Nevertheless, he died after the punishment was meted out. Born in 1761, Robert Snooks’s real name was James Snook. It’s believed that a corruption of the phrase “that robber Snooks” is how he came to be called Robert Snooks. 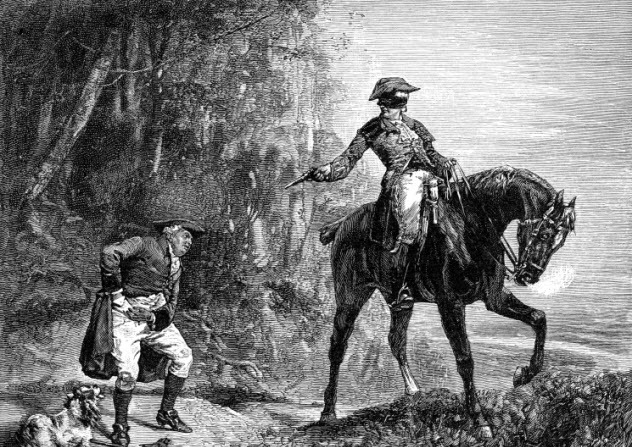 Robert made his career as a highwayman in England after he held up a mail boy carrying six sacks of letters, many with money in the envelopes. One of the letters contained £500 worth of notes, a sizable amount of money in those days. It wasn’t long before his crime was reported and a £300 reward was placed on his head—£200 from the postmaster general and £100 from the government. Robert seemed to have struck gold and did well in avoiding capture as the authorities searched for him. However, one grave error threw his entire plan into disarray. Asking a servant to purchase cloth, he handed her what he thought was a £5 note, but it was actually a £50 note. Given that this was equal to about £2,500 in modern-day money, the merchant became immediately suspicious as to why a servant was carrying such a huge amount of money. This action drew attention to where Robert was hiding. He fled to Hungerford but was soon caught. 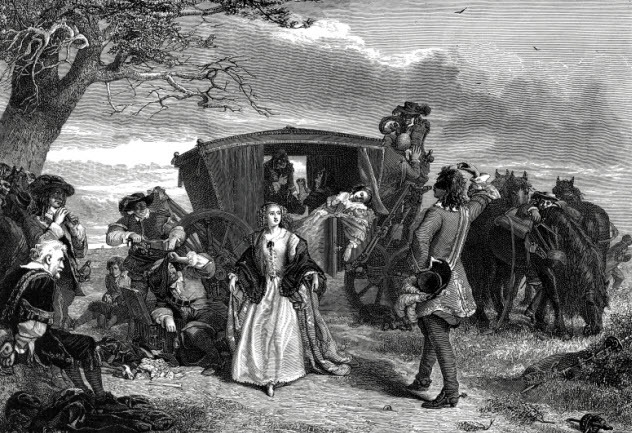 In 1802, Robert became the last highwayman to be hanged in England. According to legend, if you circle his grave three times while saying his name, his ghost will appear. 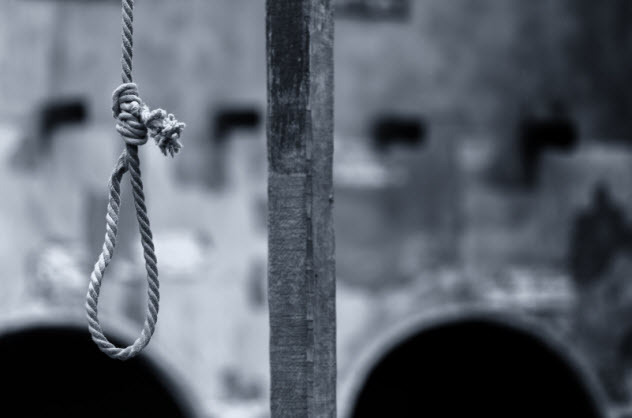 At the same time, Dr. Joseph-Ignace Guillotin and Dr. Antoine Louis were inventing a new execution device named the louisette (aka the guillotine). After testing their machine on animals and corpses, the doctors felt that the guillotine was nearly ready to be rolled out. 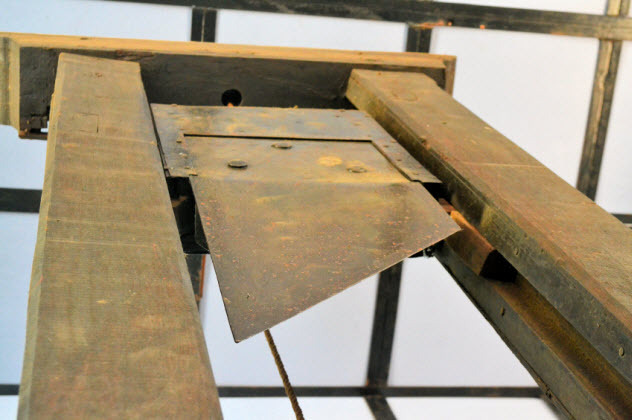 Despite the public’s objections, the guillotine became an iconic execution method, with Pelletier having the “honor” of being the first person to be executed that way. From humble beginnings, James Hind became the apprentice of a butcher as a young adult. However, his life changed when he took a trip to London and became heavily involved with women and ale. Soon, James was imprisoned for his misdeeds. While there, he met highwayman James Allen. They became friends and agreed to team up once they were both released. Most stories about James Hind’s illegal ventures show his kindhearted nature. After robbing someone who needed the money to purchase a cow, Hind offered to meet the man the following week and give him enough money to purchase two cows. On another occasion, Hind held up a traveler who turned out to be an old friend. Eventually, Hind returned the stolen money with a bonus so that his friend could buy some gloves. Hind was a captain for the Royalists during England’s civil war. 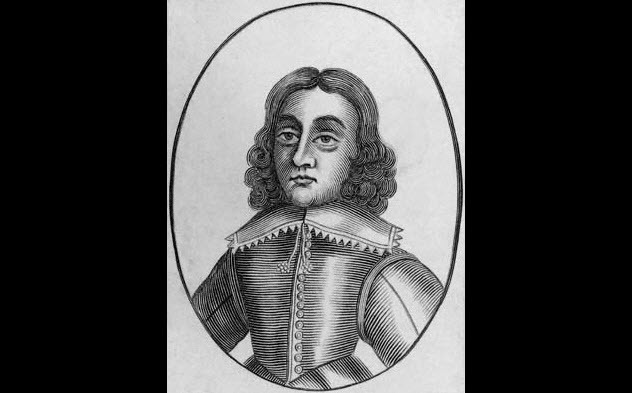 When captured by the Parliamentarians after losing the Battle of Worcester in 1651, he was tried for his Royalist actions. But the charges were eventually dropped. Later, he was tried for highway robbery and sentenced to be hanged, drawn, and quartered. 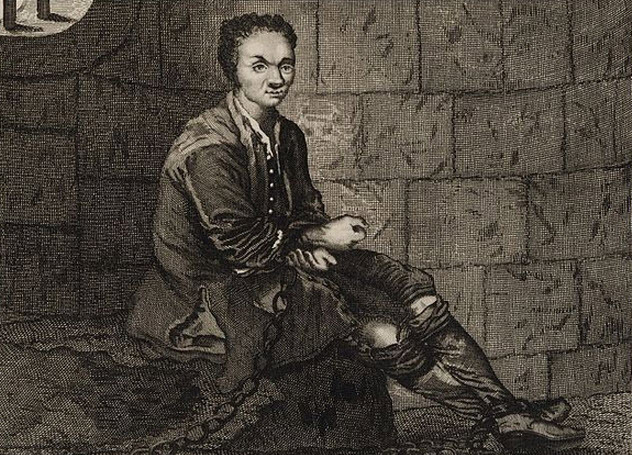 Juro Janosik, an 18th-century Polish bandit, led a team of robbers who terrorized dignitaries for years. He was also a perfect example of how the stories of bandits became embellished for the purpose of folklore and legend. 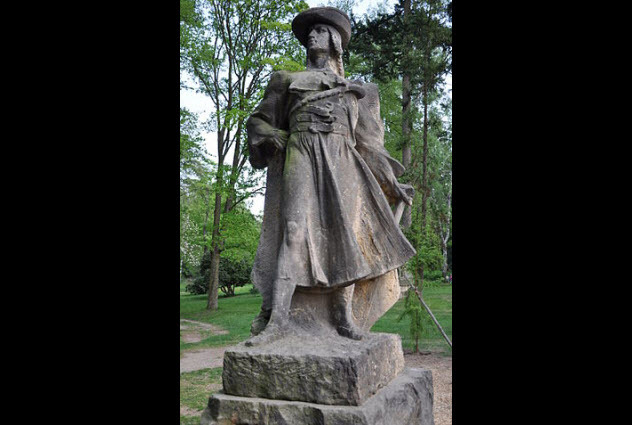 According to these stories, Janosik’s great strength as a criminal came from meeting three witches in his youth. They decided to make him into the greatest bandit that the world had ever seen. So they gave him three magical items: a shirt, a belt, and an alpenstock. Supposedly, Janosik was magically resistant to arrows, bullets, and wounds. He could move faster than any human, and he could leave his palm print in any stone. However, the legends covered up his darker side. Although they state that he robbed from the rich and gave to the poor, there was no proof that he actually did this. Even worse, he was often cruel, especially to subordinates who had let him down. Eventually, Janosik was betrayed, arrested, and impaled on a hook in Liptovsky Mikulas castle. Of course, such a fate would not fit the legends of the mighty and invincible Janosik. So more stories were created in which Janosik taunted the judges and executioners and threw himself on the hook to deny them the pleasure of letting him suffer longer. Born in 1773, Jerry Abershaw is known by historians as the last of the highwaymen, especially the last of the bandits who were known for being dashing, brave, and sly. At 17, he began to frequent the Bald-Faced Stag Inn, where highwaymen were known to meet. He wasn’t as caring and respectful as some highwaymen, but he was known for his sense of humor—which came out most when he was down on his luck. We don’t know how active he was because highwaymen operated in disguise. But the number of reported robberies did spike in the year that he became a highwayman. Also, many of his robberies during his years of operation were known for his unique quips and jokes. Eventually, David Price and Bernard Turner, two Bow Street runners, approached Abershaw after someone sold them information about Abershaw’s true identity. When he tried to escape by opening fire at the pair, Abershaw killed Price and wounded Turner. Abershaw was apprehended in 1795. Throughout his trial, he mocked the judge. Abershaw even joked with people as he walked to the execution spot. Before he died, he threw his shoes into the crowd, saying that his mother had once claimed that he would die in them. After Abershaw was hanged, his corpse was displayed at Jerry’s Hill (which was named after Abershaw). Supposedly, 100,000 people came to see him there. Born in 1700, Joseph Blake became a thug early in life. He was first jailed at age 15. 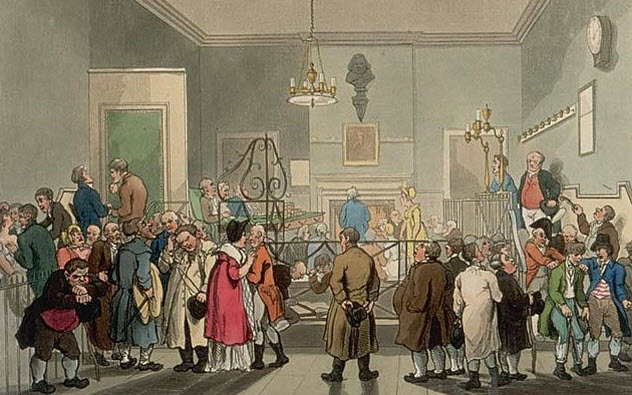 By 17, he had established himself as a pickpocket nicknamed “Blueskin.” He teamed up with five other men, and the group began to terrorize the streets of England. 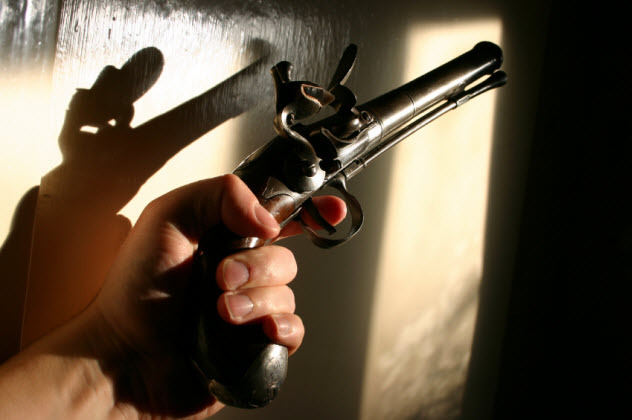 One report talked of Blake robbing a man for eight shillings and a sword and then opening fire on a woman who had witnessed the crime from a window. Blake’s gang got into a lot of trouble, including beating a man nearly to death with their pistols for one guinea and one penny. Despite his friends being captured and hanged, Blake continued with his crimes. For his final one, Blake teamed up with Jack Sheppard to rob a house. But they were caught and arrested by “thief-taker” Jonathan Wild. During the trial, Blake pleaded with Wild to reduce his sentence from hanging to transportation, but Wild refused. When Wild later approached Blake to discuss something, Blake took revenge and cut Wild’s throat with a knife. Wild survived the attack, and Blake was hanged. In 1748, Englishman Thomas Boulter was born into a troubled family. His father was a known thief who was sentenced in 1775 to 14 years of transportation for stealing horses. That same year, Thomas Boulter became a highwayman. His first hits occurred around Hampshire and then spread throughout England. He became known as the “flying highwayman” because he operated in such a large area. However, he was a compassionate thief who laughed and joked with his targets. It was reported that Boulter returned valuables if the victim had strong personal ties to them—but only if the victim asked in the right tone of voice. Eventually, Boulter was caught in Yorkshire and spent some time in York prison. During his trial, he was given the chance to receive a full pardon for his crimes if he joined the army. Boulter took the offer and then deserted six days later. Free on the roads once more, he teamed up with James Caldwell to commit even more robberies. Boulter was captured again but escaped. He was captured a final time and hanged in 1778. Born in 1730, William Page was raised in a poor family. At age 10, he and his father had to pitch a tent on the frozen River Thames. When the ice thawed, his father drowned, leaving William to fend for himself. Page worked many odd jobs, but he got into robbery when he began to work for the upper class. After seeing the luxury in which some people lived, he adopted the highwayman’s way of life at age 15. He stole the money needed for pistols and a horse and set off. Page had a successful career with a partner named William Darwell. They would leave a town dressed as gentlemen and then swap clothes before committing their robberies. The pair supposedly committed up to 300 robberies in four years. During one coach robbery, passengers opened fire on the thieves, leaving Page with a nasty shoulder injury. He was arrested three times but always acquitted. Finally, in April 1758, Page was convicted of robbery and hanged at Penenden Heath in Kent. Born in 1717, Henry Simms became known as “Gentleman Harry” due to his manners. After stealing from shops at age 10, Simms seemed destined for a life of crime. He joined a gang whose members were often arrested and transported, but Simms kept committing crimes. He became a highwayman after purchasing pistols and a horse. During one of his crimes, he stole 102 guineas, which he immediately took to London and gambled away. His luck ran out when he was caught robbing a baker’s shop. He was tried and sentenced to be transported. Then he was sold as a slave overseas for 12 guineas. Immediately, Simms escaped by stealing his master’s horse and riding to the coast, where he made his way back to England. 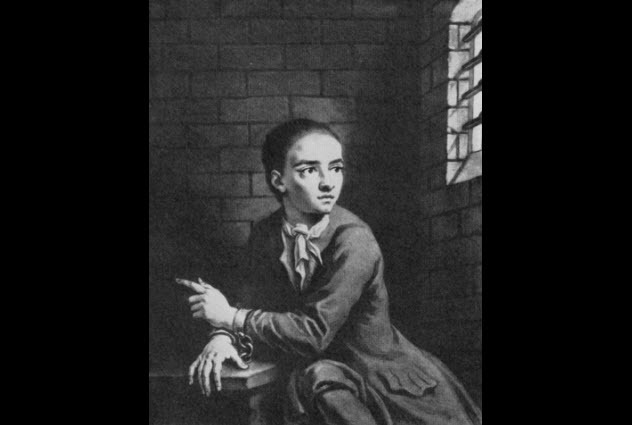 Simms continued with his thefts around London and Epping Forest until he was caught and hanged in 1747.